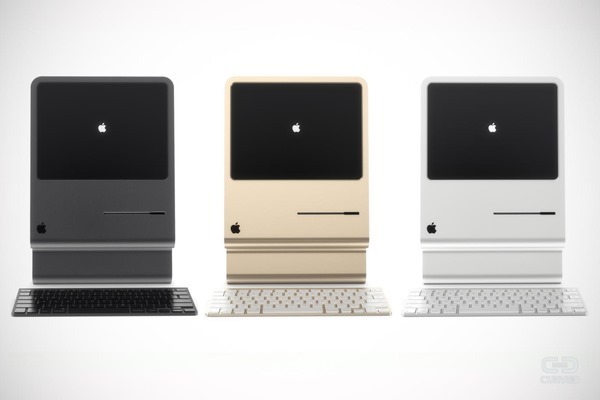 What if Apple was to reproduce the original Macintosh in 2015, 31 years later? Looks like the designers at Curved Labs have the answer. Head on after the jump to read all about it. 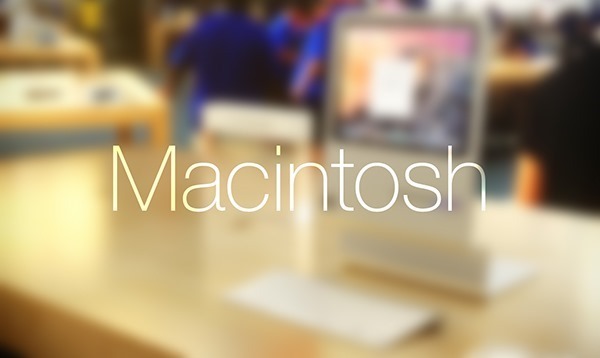 From Macintosh to iMac, Apple’s desktop computer has evolved to great lengths since it was originally released. 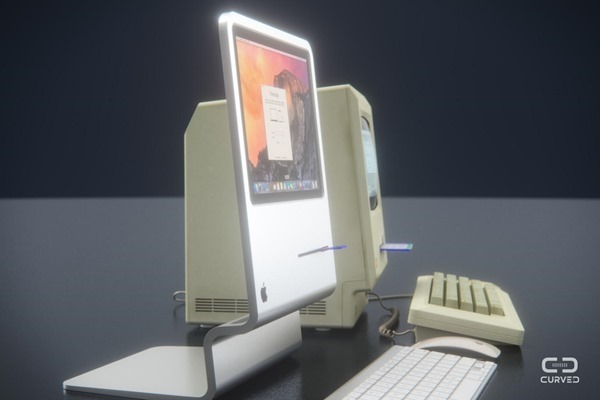 While designs evolve pretty slowly over a given period, 31 years is a lot of time, over which the Macintosh was totally redesigned to the new iMacs we see today, losing nearly every design element that went into the original Macintosh. 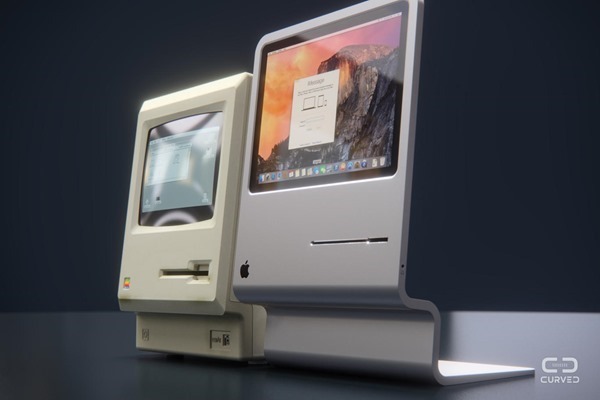 Let’s face it, the iMac’s design is slick by modern standards, but if you wanted to dive into the Macintosh era in 2015, Curved Labs has produced a rather beautiful concept of the old Mac dressed in the modern design language using the same aluminum found in MacBooks, iPhones and iPads. 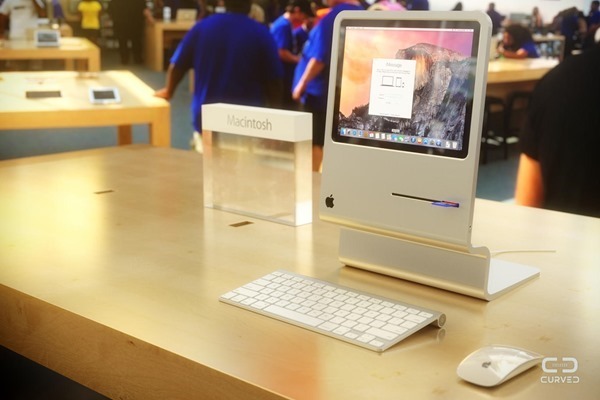 The result is ‘iMac meets Macintosh,’ and it still looks every bit of an iMac, but just a bit off. As for the hardware it packs, the concept is based on the components from a MacBook Air, including the display, which has been turned into a touch-screen, but mouse and keyboard inputs have been preserved as well. Under the hood there’s the latest Core i7 from Intel, and users can choose from 4GB or 8GB of RAM, coupled with a 128GB SSD for storage. According to Curved Labs, this rendition of the original Macintosh “supports all popular WiFi standards and Bluetooth. You find already the new USB 3.0 port and a Lightning port. A built-in battery allows you to set up the Mac at different work locations on the fly.” To add some flare to their offering, Curved Labs is offering users the choice of iPhone and iPad-like colors as well such as, silver, gray, and gold. Where in the world is the disc supposed to go? It has a standard size slot on the front, but with that thin display, there is no room for an optical drive behind it! It’s not a disk drive, it’s a row of USB & Thunderbolt ports with an SD card reader on the right; it’s just styled to look like the floppy drive slot on the original Macintosh. To model after the old CRT screen used on the original I suspect.